Buttery, crunchy saltine toffee with a sweet and tart topping. 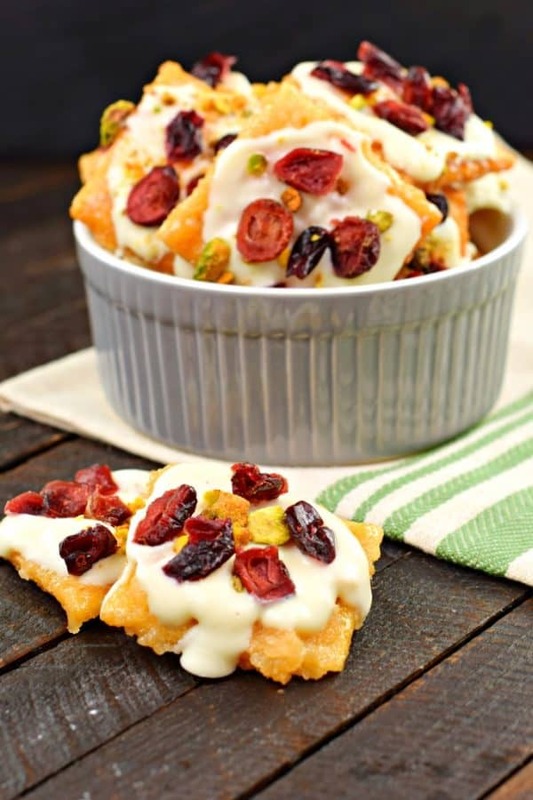 You’ll love the flavor and texture of this Cranberry Pistachio Saltine Toffee recipe! Click HERE to Pin It for later! Giving candy as a gift is my thing. It’s easier than going shopping and hoping to find something my friends and family will like and not return. Plus, what do you give to the person who has everything? Creating cracker toffee is so easy. And the possibilities of flavors are endless. You can use graham cracker, saltines, club cracker…and the toppings? So many to choose from. One of my favorite holiday recipes on the blog is this Cranberry Pistachio Biscotti. 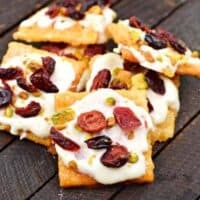 I love the sweet and tart cranberry paired with the salty, crunchy pistachio. So why not do the same on top of some saltine toffee? I set to work quickly and it came together just how I imagined! I used melted white chocolate (this is my favorite) as the base for toppings. I think it would be great with dark chocolate too, but maybe not as pretty? If you’re looking for more toffee recipes, I’ve got you covered. You may remember this White Chocolate Pecan Toffee I made a few weeks ago. So good. You’ll also find instructions on How to Make Saltine Toffee. You can go wrong you guys. Unless of course you don’t follow my instructions! Tell me, what’s your favorite homemade treat to give as gifts? If you follow me on instagram you’ll see in my stories that I’m baking sweets like a crazy person. We give toffee as gifts every year…and this classic English Toffee is a favorite. It’s requested by many people every year, we make nearly 20 batches a season! 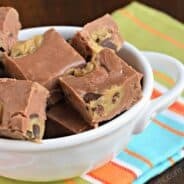 If you’re looking for fudge, my favorites would be a classic Chocolate Fudge (we call it Fannie May Fudge). I’ve also got Egg Nog Fudge, Gingerbread Fudge, and Andes Mint Fudge. Looking to make something even more impressive? How about truffles? Start with a classic Chocolate Truffle, and from there you’ll want to try these Peppermint Truffles, Egg Nog Truffles, and Samoa Truffles. Don’t even get me started on cookies….check out my cookie index for your favorites! 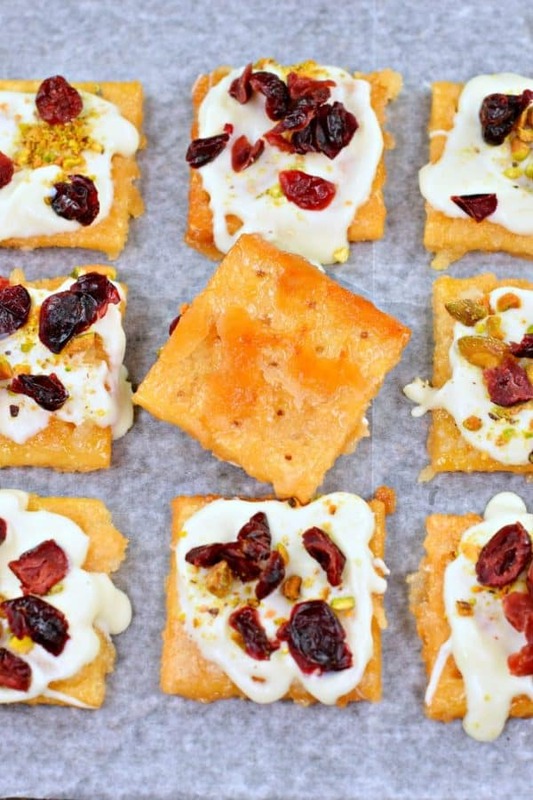 Buttery, crunchy saltine toffee with a sweet and tart topping. 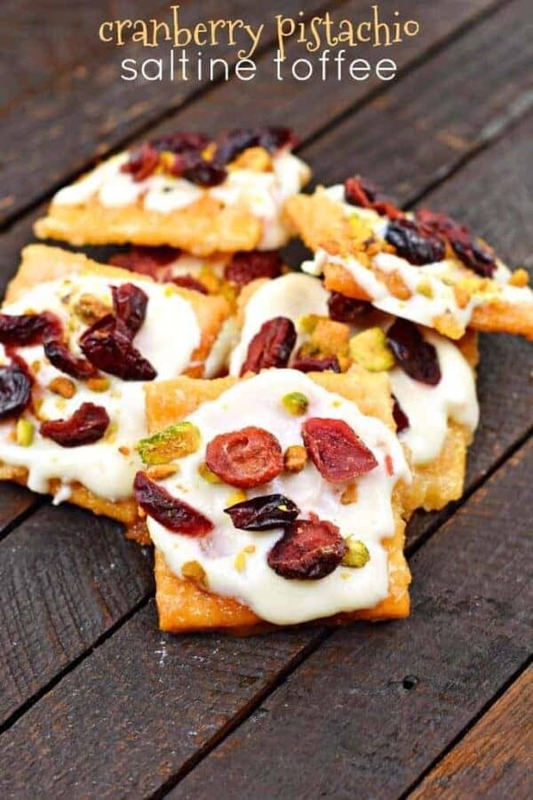 You'll love the flavor and texture of this Cranberry Pistachio Saltine Toffee recipe! Line a 15x10x1-inch baking sheet with the saltine crackers. Set aside. Preheat oven to 375°F. 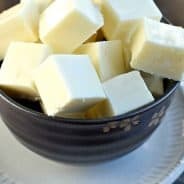 In a small saucepan over medium-high heat, melt butter. Add in sugar and bring to a rolling boil, stirring constantly. Once it begins to boil, remove from heat. Pour over saltine crackers. Place in a 375°F oven for about 13-15 minutes, until crackers are browned and caramelized. Remove from oven and using a small spatula, place each piece of toffee onto a sheet of parchment paper on the counter. Melt white chocolate wafers and spread generously over toffee. 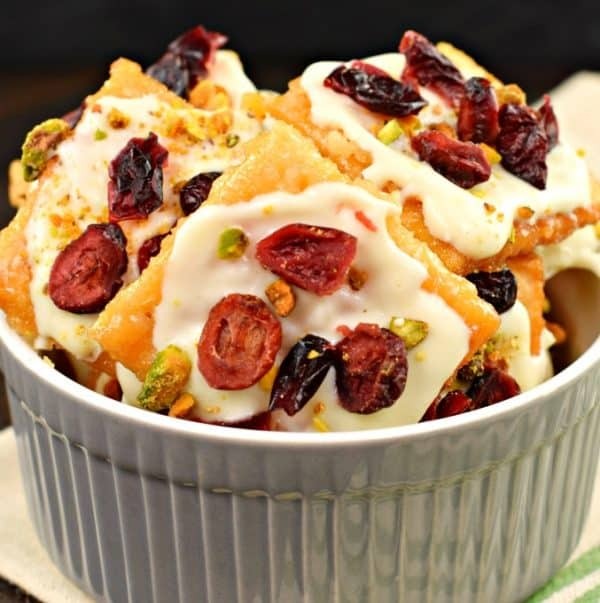 Immediately sprinkle with chopped pistachios and dried cranberries. Allow chocolate to set and store in airtight container for up to 7 days. Looking for more holiday treats? This ooey, gooey S’mores Cracker Toffee recipe is my kid’s favorite! No need to fire up a grill for these s’mores! Homemade Gumdrops from my friend Trish at Mom on Timeout. 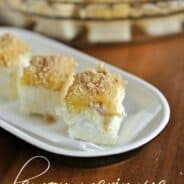 These are calling my name, and the kids will love them! How fun and easy are these Holly Jollies from Christy at Southern Plate? Perfect if you’re on a budget too! Only 4 ingredients to make these Christmas Candies from Chelsea’s Messy Apron. So simple and festive! If you’re short on time, check out my list of 10 Last minute Christmas treats. I’ve got you covered! I would seriously inhale this! Cracker toffee is my fave…and this flavor combo, yes! Oh my! I don’t think I’ve e er seen saltines used in such a treat. Thanks!